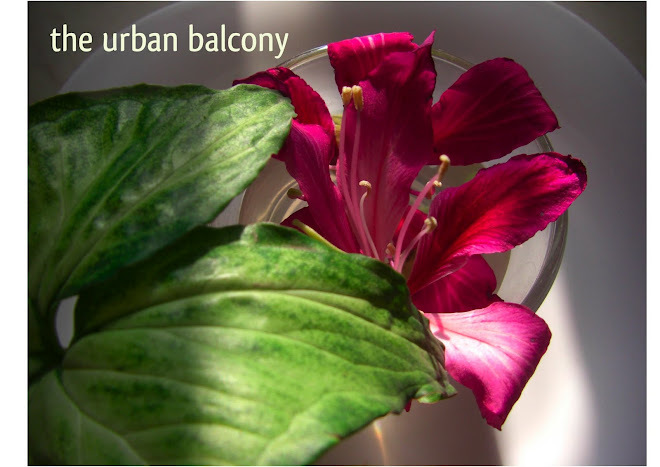 the urban balcony: When you feel like giving up on someone, there is a second chance. Yes that's right! That's the way to go :-D Often when my plants are dying, I give them extra care and they bounce back beautifully. Well, some do died on me later. But in everything... do not give up! What a story!!! So inspirational too! I NEVER want to give up on anyone EVER...as long as someone, or thing, is alive! good words to live by! I do that same thing! Sometimes some plants have their strange ways with us. I am in fact surprised that your Jasmine took so long to bloom. One reason could be because of unavailability of enough Phosphorous, drainage and the thick soil. Jasmine if only given Nitrogen rich fertilizer would just grow more leaves without blooms, just like Hibiscus. You might want to try dried cowdung or cowdung highly diluted in water. It works magic. I had the same experience with my citrus plant. It sprung back when I wanted to perform euthanasia on it. Plants do behave in the strangest ways, they react positively when their lives are threatened. I have been experiencing the same problem as you with the same Arabican jasmine, I'm going to try your method soon. I had a similar experience with my poppy plant. It didn't do very well at all. I thought it was a goner. This year it is looking lush and green. Can't wait for the blooms. I agree too that relationships also can thrive if we don't lose hope. Do you think they do that on purpose. You know, just to make us appreciate them even more? That jasmine plant had better thank its lucky stars that you didnt throw it out. I'm glad you got to enjoy those beautiful fragrant blooms finally. Takes a lot of faith to have a garden, doesn't it? Often when I give up on a plant, it rebounds. It can only applies to PLANTS. I stay away from people dedicating most of my time to write, propagate and investigate. I liked that very much. The jasmine flower is beautiful. I have some, but want to propogate more after reading your blog. I love the smell they fill the room with. Great that you revived the plant. 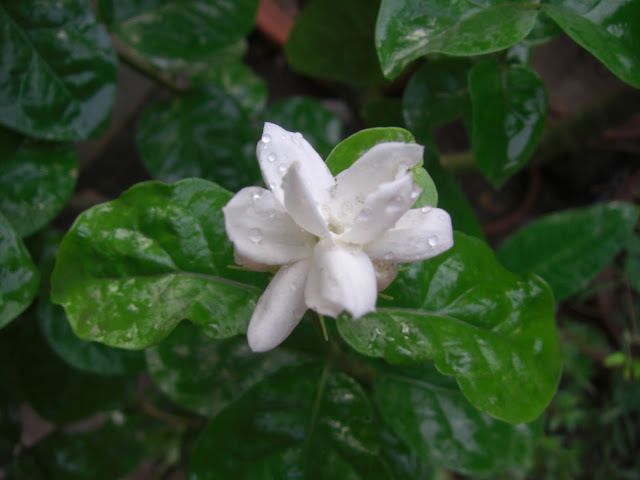 I love jasmine... we had lots when I was growing up - my mom's and grandma's. It's been a while since you posted. Nice story! I liked that very much. The jasmine flower is beautiful..